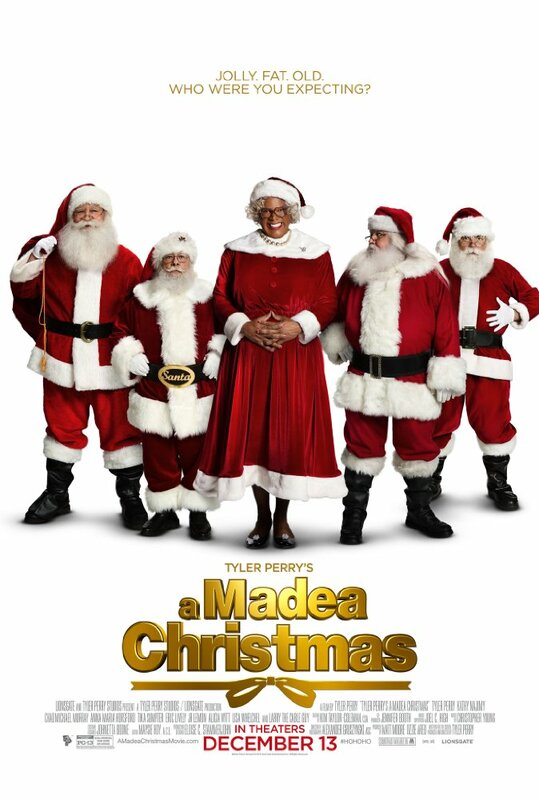 The movie opens with Tyler Perry dressed in drag as a department store Santa. His niece Eileen (Anna Maria Horsford) is showing him the ropes but Madea ends up ruining everything for her when he is nasty to the customers and ends up getting fired. Too impatient to wait on his check in the mail Madea creates a scene when he raids the cash register to get his days� pay. Eileen is further depressed because her daughter, Lacey (Tika Sumpter) won't be able to make it home for Christmas so she asks the reluctant Madea to drive her out to Alabama to Lacey's for Christmas. She is appalled to find a white country boy named Conner (Eric Lively), working on the farm and disproves heartedly. She thinks Lacey is risking her reputation by having him there. Things become more complicated when Conner�s parents (Larry the Cable Guy and Kathy Najimy) arrive for the holidays and they all have to share the same space. Meanwhile apart from dealing with her racist mom, Lacey who is a teacher has to deal with the troubling situation of not having their yearly Christmas Jubilation due to lack of funds. She solicits the help from her ex high school boyfriend with disastrous results when the Corporation who is injecting the funds wants them to disregard the religious tone and keep the "Christ" out of Christmas. Chad Michael Murray portrays the town tough guy, whilst a small boy (playing his character's son) touches everyone's heart with his fine singing voice. All in all a funny movie that will make you chuckle with Tyler Perry hitting on the subjects of bullying, racism and evil corporations�.